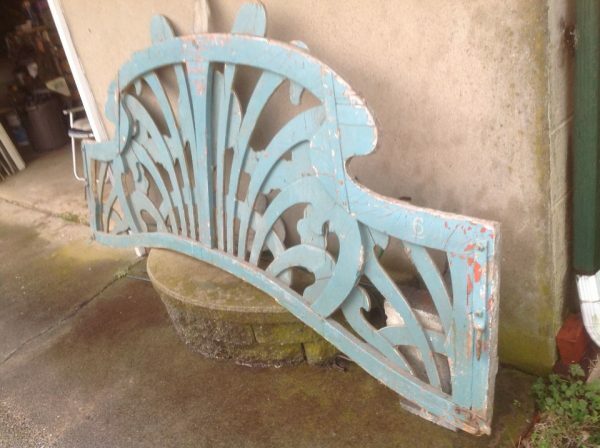 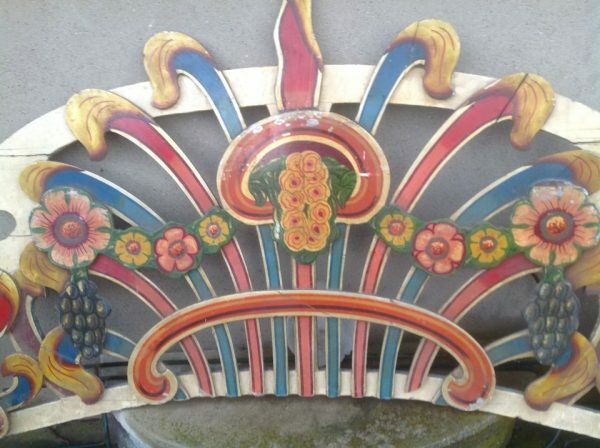 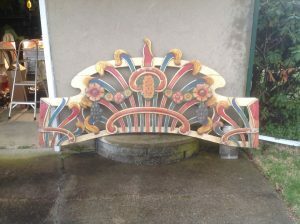 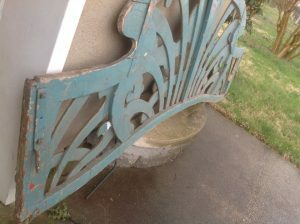 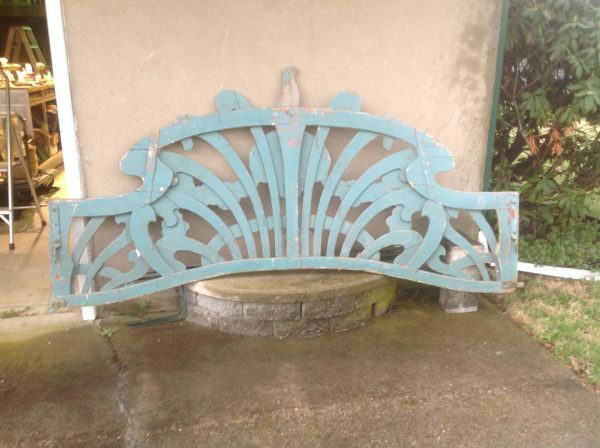 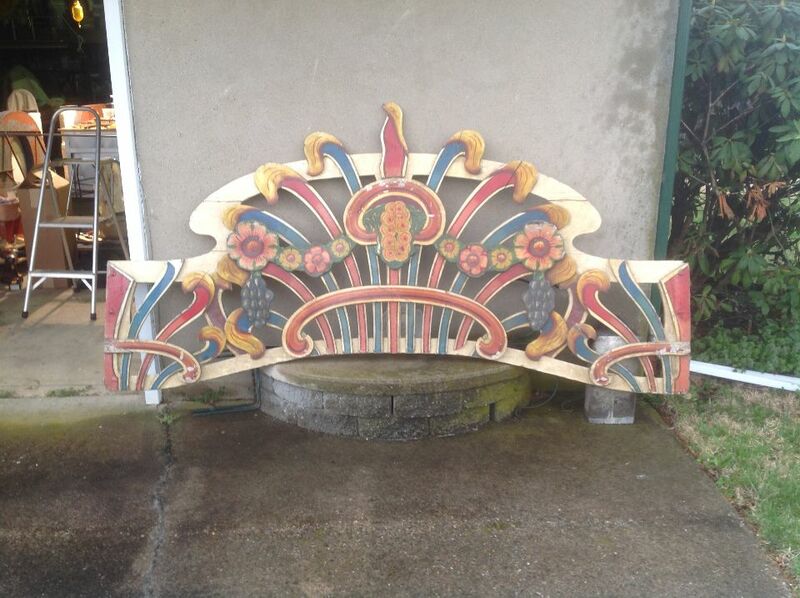 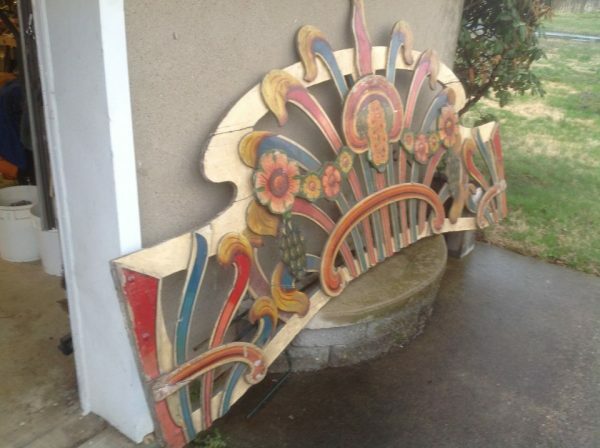 Antique circus/carnival carousel rounding board panel in as found condition. 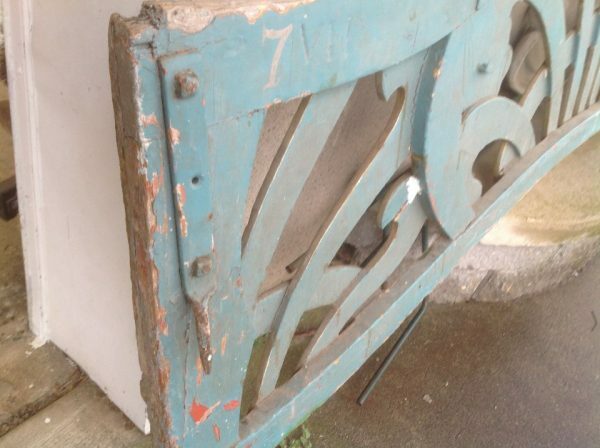 Found on a trip to London, the previous owner used the panel as a bedroom headboard. Nice old patina showing its age. 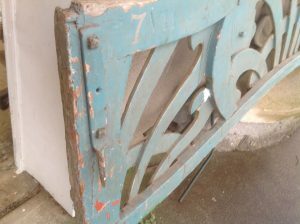 Will need some tightening and minor woodwork. 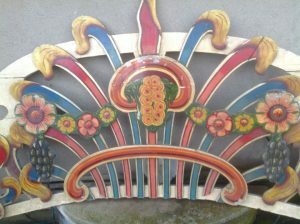 Think of the possibilities………..